A Birthday treat. 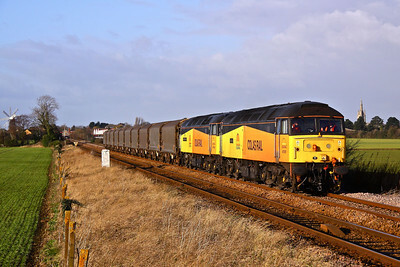 I Managed to get a Half day off work here as there was a 97 hauled test train about and this - 37688 & 37510 head 6Z50 09:25 Stockton - Sheerness loaded scrap. 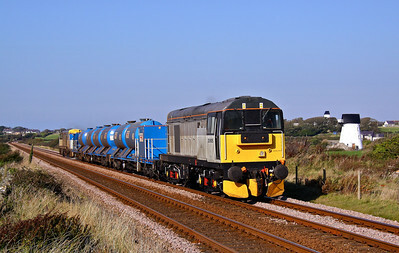 It heads past the gallery at Hasland, South of Chesterfield on February 3rd. 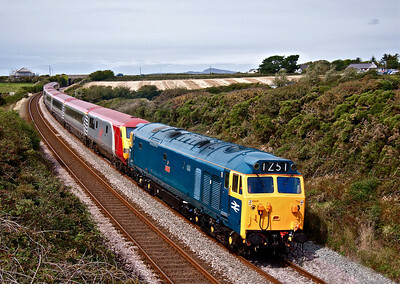 With an Arriva ‘Rugex’, Two Railtours, the Pendolino drag and the good weather forecast, it was well worth a drive over to North Wales on the 26th March. 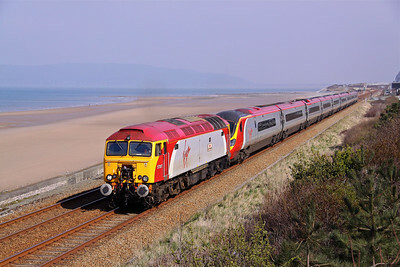 57307 'Lady Penelope’ provides the power for 390015 as it works (from Crewe) 1D83 08:50 London Euston - Holyhead Virgin service past an almost deserted beach at Penmaenmawr. 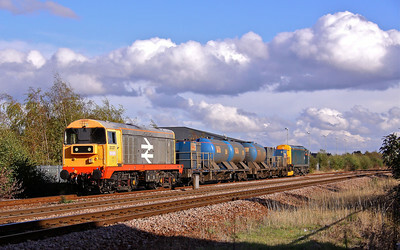 67024 toys with 4 RMC liveried PCA’s , passing Lichfield forming 6F11 14:02 Bletchley - Warrington on 20th April. 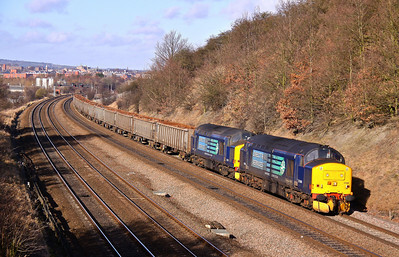 A phone call from a friend to say 66004 had worked a special 6J57 Aldwarke - Stocksbridge steel in the middle of the day on Easter Monday, had me drop everything and dash out with the camera for the return 6J58, seen here passing the site of what used to be Neepsend Station on 25th April. Very rare!! Its hard to pick a favorite shot from our trip to North Blyth to photograph what has to go down as the Working of the Century ?!! !, but this was the first sunny shot. After arriving early morning in the North East, we discovered that there wasn’t a morning working running, so it was nearly 15:30 before RSG showed up on a train, but the weather was perfect so no complaints. 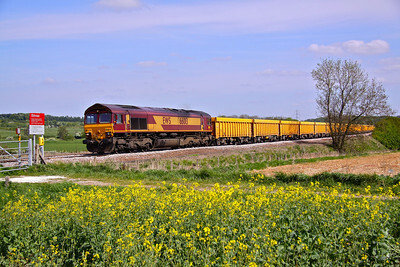 55022 approaches Marcheys House Crossing with 6N32 Lynemouth - North Blythe empty PCA’s on May 3rd. 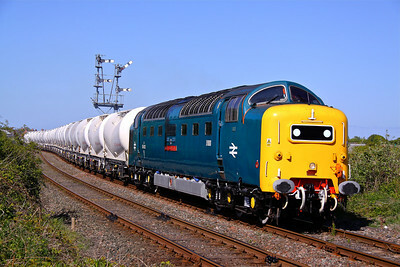 After a quick chase from Marcheys House, 55022 was easily caught as it arrives at North Blyth. This was our second attempt at these workings in perfect conditions. 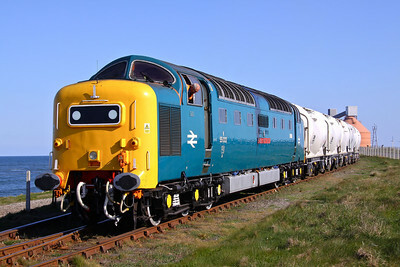 55022 'Royal Scots Grey’ shunts PCA’s at North Blyth. 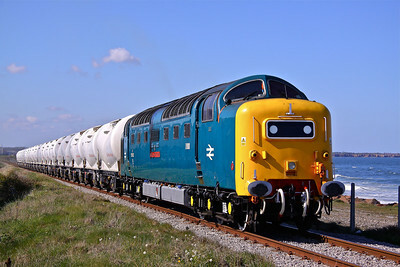 55022 ‘Royal Scots Grey’ departs from North Blyth at 17:06 with 6N69 (17:54) to Lynemouth, May 3rd. 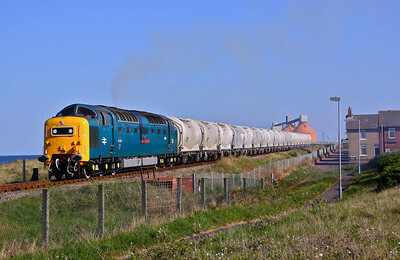 37409 ‘Lord Hinton' returns from Deepcar with inspection saloon ‘Caroline’ while working 2Z01 13:30 Thrybergh Junction - Skegness, 24th May. I had everything crossed here, as a minute or so before it arrived, the sun was in cloud. 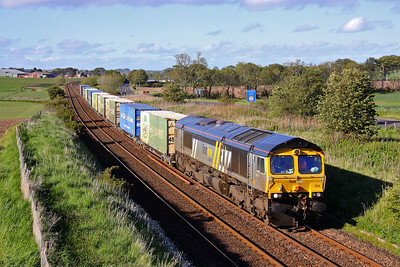 47270 ‘Swift’ accelerates past Inverkeilor, South of Montrose with “Compass tours” 1Z36, 16:14 Aberdeen - Skipton charter - “The Borders & Bridges Scotsman" on Monday May 30th. 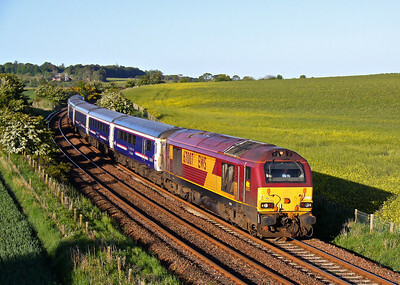 On a beautiful Spring morning at 06:37, 67007 hurtles around the curve near Cauldcots with 1A25 04:40 Edinburgh - Aberdeen sleeper portion on 31st May. 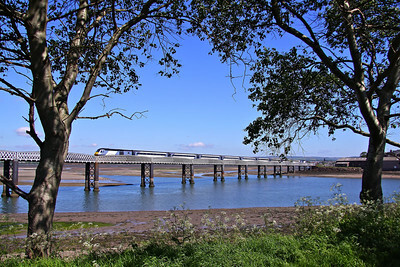 43302 and 43308 provide the power for the 09:52 Aberdeen - Kings Cross (1E24) as it crosses over Montrose Basin on the South Esk Viaduct. 31/05/10. 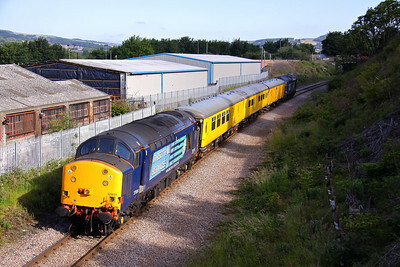 37604 top & tails with 37603 passing Neepsend Station site as it returns back down the Deepcar branch with 2Q88 06:17 Derby RTC - Doncaster West Yard on 20th June. 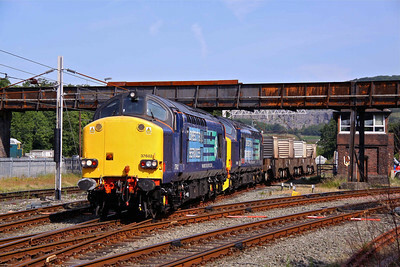 Arriving at Carnforth by train, we just had enough time to walk round, find a spot and collect a few discarded bricks to stand on and get a picture of 6K73 08:50 Sellafield - Crewe flasks, hauled by 37602 & 37409 as they negotiated Carnforth Station Junction with load 4 on Saturday 30th July. 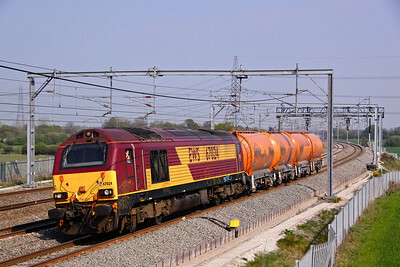 My first decent digital shot of 60040 in this livery, its always been elusive. 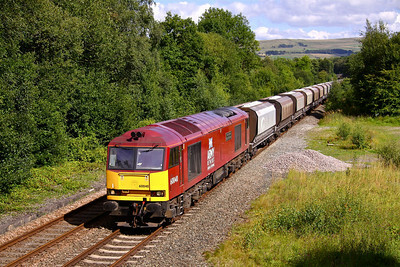 is seen passing Disley with 6F05 15:25 Tunstead - Oakleigh loaded limestone on August 15th. 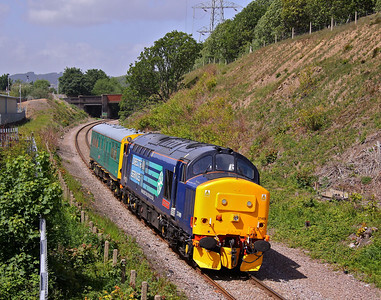 “The Snowdon Ranger” Two day tour from London Euston to Holyhead and return, sees 50044 ‘Exeter’ sweep past Llanfaelog near Ty Croes, on Angelesy with 1Z50 12:00 Holyhead - Llanwrst North on the start of day 2 on 4th September. 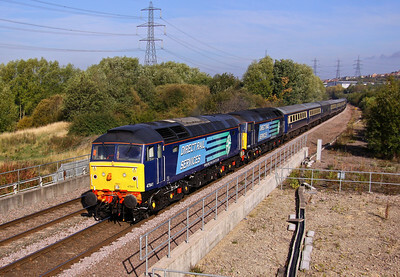 Passing through Beighton on the freight only ‘Old Road’ avoiding Sheffield, 47841 and 47802 combined forces heading South with 1Z61 05:50 Edinburgh - Southampton “Cruiseliner” on 27th September. 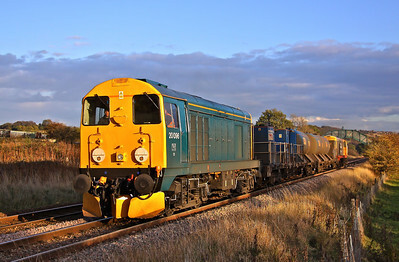 90044 glides past Weaver Junction with 4L92 Garston - Felixstowe containers on 28th September. 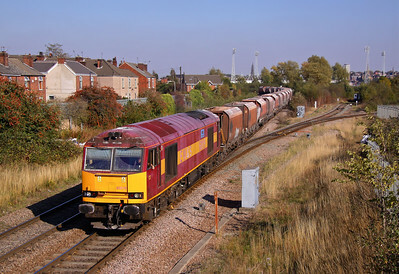 A faded EW&S liveried 60019 passes Holmes Junction with 6M96 Drax - Tunstead empty JGA’s on an usually hot 29th September. 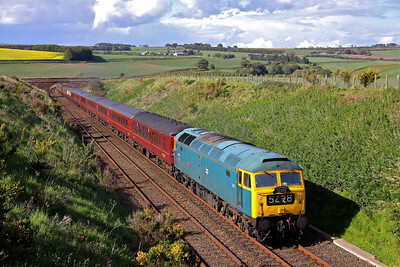 The last built Class 20, 20227 top and tails with BR blue liveried 20096 working 3S14 11:26 Sheffield - Wakefield Kirkgate RHTT en route to Deepcar passing Nunnery, Sheffield on 25th October. A couple of hours later from the previous picture and 20096 now leads past Butterthwaite Farm, Ecclesfield in some gorgeous late afternoon light with 3S14 11:26 Sheffield - Wakefield Kirkgate, 25th October. At this time the Boston steel was usually handled by a single Class 47, but on December 7th it had a bit of insurance. 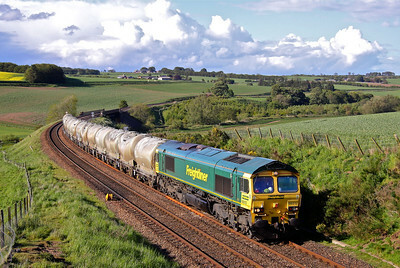 47 727 leads 47739 past Great Hale Drove No 1 Crossing, East of Heckington.